Racing in her fourth career downhill, the 22-year-old Olympic and world slalom champion finished in 1 minute, 27.55 seconds to edge Germany's Viktoria Rebensberg by 0.13 seconds. Mikaela Shiffrin of the United States celebrates her first-place finish in the women's downhill race at the 2017 FIS alpine skiing World Cup at Lake Louise in Alberta, Canada, on December 2, 2017. United States slalom star Mikaela Shiffrin raced to her first World Cup downhill victory on Saturday at Lake Louise, Alberta in Canada. "The biggest thing is I'm learning about the mentality to ski well in downhill and ski the way that I want to," said Shiffrin, third on Friday in the opening downhill. "I've skied here a couple times now, so I felt Lake Louise was a really good opportunity for me because I have some experience on the track. I wasn't planning to win, but I was planning to come here, do my best and see what happened." "It's my first podium here and I don't know how many years I've been coming here now," Rebensburg said. "I was often pretty close to the podium, but today everything came together. Hopefully, I can win a downhill soon." Shiffrin's compatriot Lindsey Vonn was 12th a day after crashing in the downhill opener. "I think I had a hard time trusting my knee today," said Vonn, an 18-time winner at Lake Louise. "It's definitely pretty swollen and wasn't very happy with me. I'll go ice it now and hopefully it settles down a little bit more." Shiffrin says she still thinks of Lake Louise as "Lake Lindsey". "It's really cool for me to be here and experience what she's felt in past years," Shiffrin said. "It was definitely weird, but I have to say huge props to Lake Louise for getting this race off," Vonn said. "They put in a major effort." Switzerland's Michelle Gisin was third in 1:27.72. Austria's Cornelia Huetter was fourth after winning on Friday. A super-G is scheduled for Sunday (Monday China time). Aksel Lund Svindal of Norway in action during the men's downhill race at the 2017 FIS alpine skiing World Cup at Beaver Creek, Colorado, on December 2, 2017. In Beaver Creek, Colorado, Norwegian veteran Aksel Lund Svindal drew a line under his recent injury woes with a first World Cup victory in nearly two years in the men's downhill on Saturday, AFP reported. The 35-year-old clinched the 33rd World Cup victory of his career after finishing in 1:40.46 on the challenging course. It was Svindal's first victory since January 2016 and the sixth of his career in all disciplines at Beaver Creek. The win also provided further evidence of a return to form after Svindal missed most of last season with a knee injury. 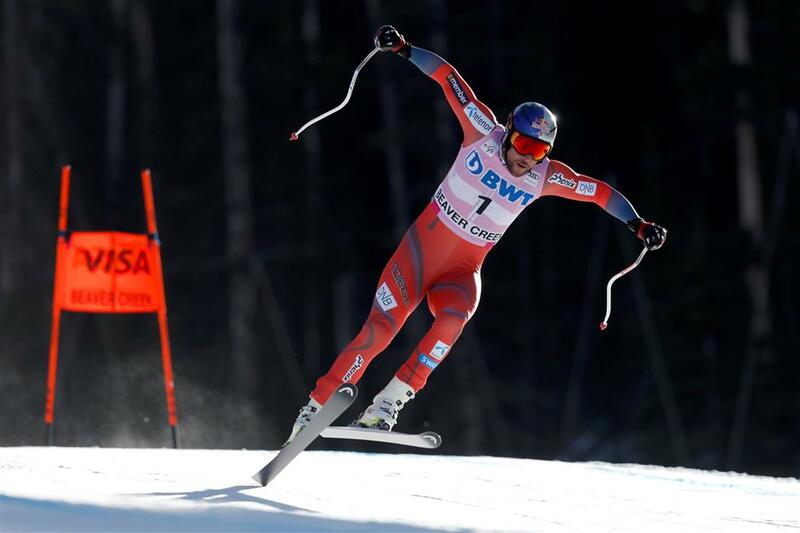 "I am very happy with the win," Svindal said. "I haven't won a race for almost two years — it was nice to feel the excitement to be in the winner box." Switzerland's Beat Feuz finished in second with a time of 1:40.61 while Germany's Thomas Dressen was third with 1:40.95. Austria's Vincent Kriechmayr, who had clinched victory on the demanding "Birds of Prey" course in the super-G on Friday, finished sixth in 1:41.17. The overall leader in the World Cup standings, Norway's Kjetil Jansrud could only finish 11th following a second-place finish on Friday. Jansrud clocked 1:41.51, more than a minute behind Svindal. Jansrud retains his place in the overall rankings however. The Beaver Creek stage concludes on Sunday with a giant slalom.